What is your watershed address? If you do not have an answer then it probably means you are not sure how or even if you are connected to Galveston Bay. Actually, everyone lives in a watershed whether or not a body of water is in view. Simply put, a watershed is the land from which water drains on its way to the nearest bayou, river, lake or bay. Your watershed address bears the name of that accepting water body. For example, I live in the White Oak Bayou Watershed. Water from my yard makes its way into the stormdrain and flows, unfiltered, to White Oak Bayou and ultimately empties into Galveston Bay. Galveston Bay is a complex mixture of salt and fresh water and is teaming with life. On the land, it is surrounded by prairies and marshes which form rich estuaries, or nurseries, for marine species like crabs, shrimp and oysters. The entire area supports a vibrant, diverse wildlife population. Galveston Bay also ends up being a repository for pollutants found in urban runoff. Stormwater, or rainwater, flows from surfaces that cannot absorb water—impervious surfaces like roofs, streets and parking lots—and from our own landscapes carrying with it substances like motor oil, litter, fertilizers, pesticides and pet waste that all end up in the bay. 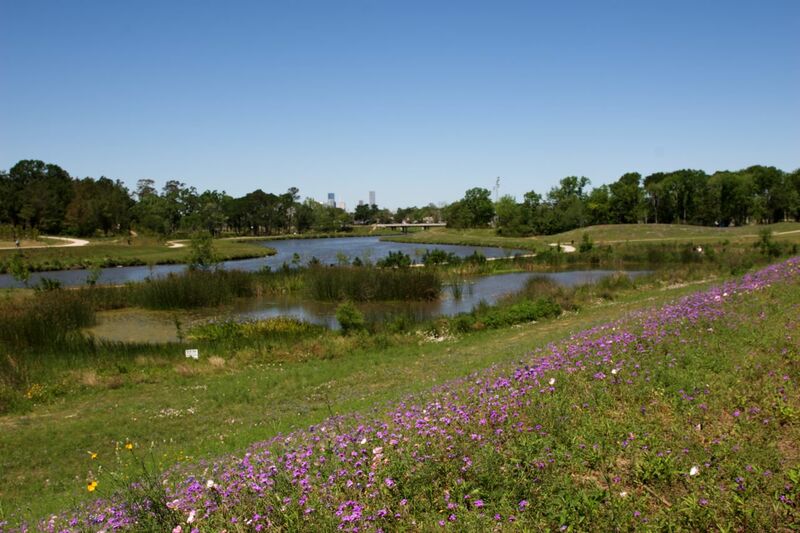 One way we can make a difference in the health of our watershed and of Galveston Bay is to use landscaping practices that are bay-friendly—working with, not against nature. Start with healthy soil. The best way to accomplish this is with the addition of organic matter in the form of compost which provides a steady supply of nutrients, releasing them slowly when the plants need them. Compost adds sponginess to the soil, which retains moisture and helps plants survive our periods of drought. In clay soils, compost helps improve drainage. Healthy, organically enriched soil is better at filtering out pollutants before water reaches the stormdrain. Conserve water. Plant and animal life in Galveston Bay depend on a critical balance of salt and fresh water. With continued development, more demands are being placed on fresh water supplies—drinking water for an increasing population, water needs for expanding industry and more irrigation going to agriculture and thirsty landscapes. 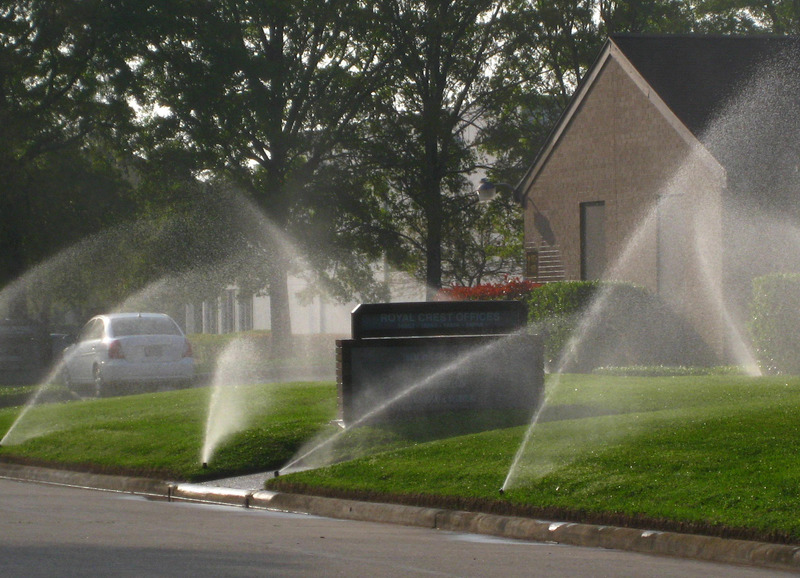 Landscapes alone can consume fifty percent or more of municipal water supplies during summer month. To help keep freshwater inflows entering Galveston Bay, reduce the size of your lawn, plant native and non-invasive adapted plants, and water landscapes less often, but deeply. Established landscapes can survive with one inch of water applied once or twice a week. Reduce waste in the garden. Grasscycling is a great way to feed your lawn while you mow. Using a mulching mower allows the grass to be cut into smaller pieces which can be left on the ground. As the clippings decompose they will add nutrients to the soil. Grass clippings that are collected can be added to the compost bin or once they are no longer green they can be used as mulch. Use recycled materials when building raised beds, edging a garden bed or creating a walkway. Reclaimed lumber can be used for fencing or garden benches. Create spaces for wildlife. Watershed protection also means preserving and creating wildlife habitats. 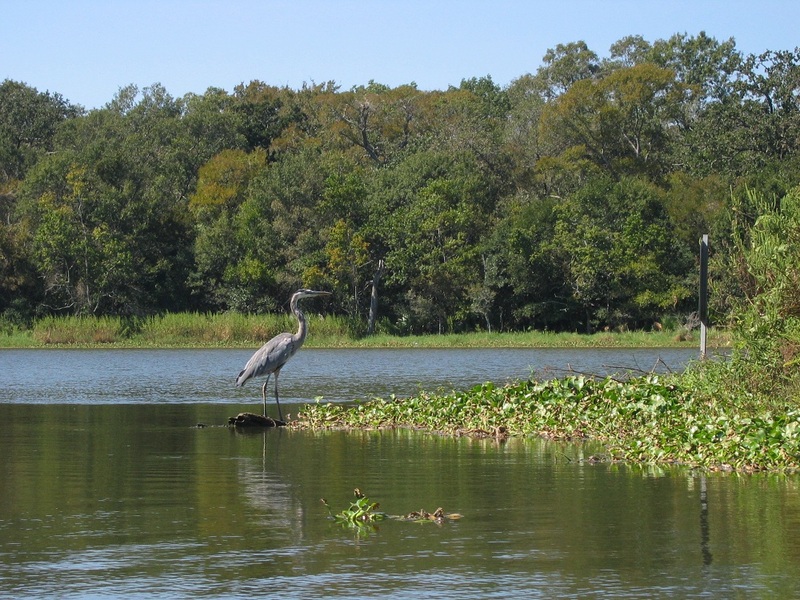 Maintaining native vegetation, especially along bayous, creeks and rivers helps stabilize soil to help prevent erosion. Such natural areas act as buffers to filter stormwater with the added benefit of attracting diverse wildlife populations. Galveston Bay may seem like a long way from your physical address. Visualizing your connection to the bay becomes easier once you understand your watershed address. Making the choice to have a bay-friendly landscape is the only “watersmart” thing to do.